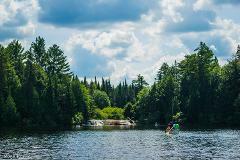 The Land Canadian Adventures Inc.
Paddle and portage the rugged routes of the Kawartha Highlands Signature Site, one of Ontario’s premier canoe and kayak parks, right in the our backyard, and within a two-hour drive of Toronto. From pine-fringed smoothwater expanses to thrilling whitewater, and Georgian Bay's fractured water-landscape, the French River has it all. 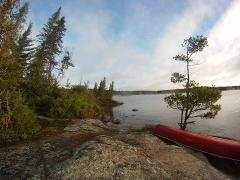 Paddle the Amable du Fond River into the remote northwest corner of this iconic Canadian park. The options for adventure multiply when our group reach the towering pines and old-growth hemlocks of North Tea Lake and beyond. 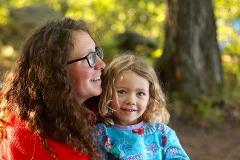 This is a fun canoe-camping trip designed to help you create memories with the little ones in your life. Jump in if you're a grandparent sharing your love of nature, a cool aunt or a family with toddlers and school-age little ones. 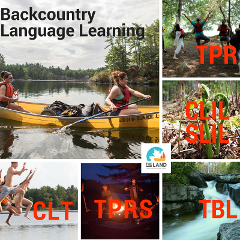 Our team has a very strong foundation of English language instruction, so we have designed a Canadian wilderness experience that provides a rich opportunity for language, culture and wilderness skills learning. Art, Wellness & Creative Nature Connection July 29-30 Dive into the wild arts in the Kawarthas backcountry! Photography, dance, wild edibles foraging, bushcraft and thousand-star cuisine. Unplug, and creatively reconnect with nature! Join the Land team to learn the skills around foraging, fashioning and functioning bowdrill fire-starting kit. Learn how to use your tools to survive and thrive in the wilderness. 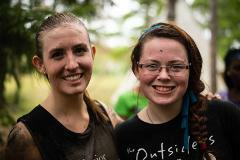 This is a six-day adventure in leadership skills camp for youth ages 14-16. Our ORCKA Instructors offer flatwater paddling instruction designed to upgrade paddlers' and prepare them for canoe trip leadership. 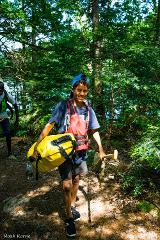 Outstanding six-day adventure-skills camp for youth ages 12-14. Our ORCKA Instructors offer flatwater paddling instruction designed to turn beginners into effective paddlers while gaining valuable canoe tripping experience. Outstanding five-day adventure-skills camp for youth ages 10-11. Our ORCKA Instructors offer flatwater paddling instruction designed to turn beginners into effective paddlers while gaining valuable canoe tripping experience. This is a fun winter camping trip designed to help you create memories with friends, meet new folks, and learn to love the winter wilds. 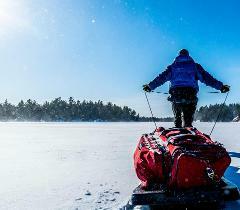 The Land Canadian Adventures invites you to the 3rd Annual Winter Leadership Basecamp. An application-only course in Canoe Trip Leadership designed for friends and guides of the Land. This six-day training will set you up to organise and execute safe and swift recreational or professional trips anywhere!